This basic furniture layout is perfect with its casual look. 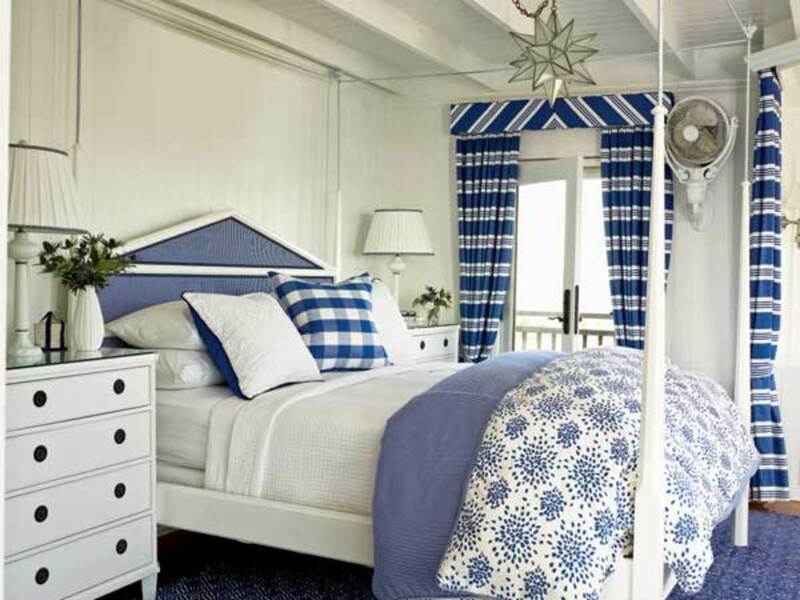 Blue and white is a favorite color of many beach homes. The antiqued coffee table is perfect for this french country look. Decorating is a very personal thing. You need to know your tastes and trust your instincts as you decorate your homes. How boring it would be if we all had the same taste. Decorators can help, but if you know what you like follow your own path with some extra research and trusting your judgement. 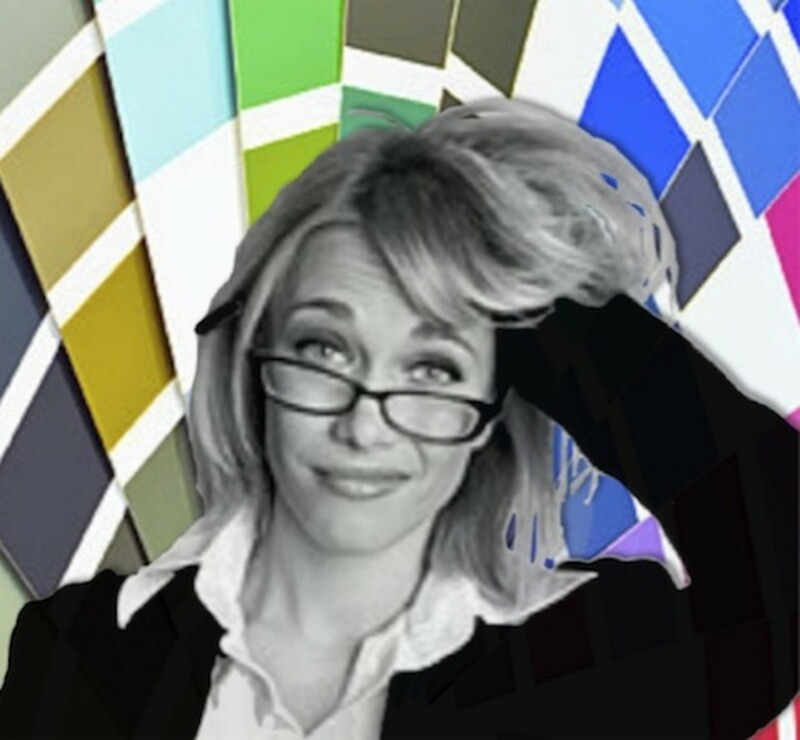 Most paint stores have specialists that can give your tips. 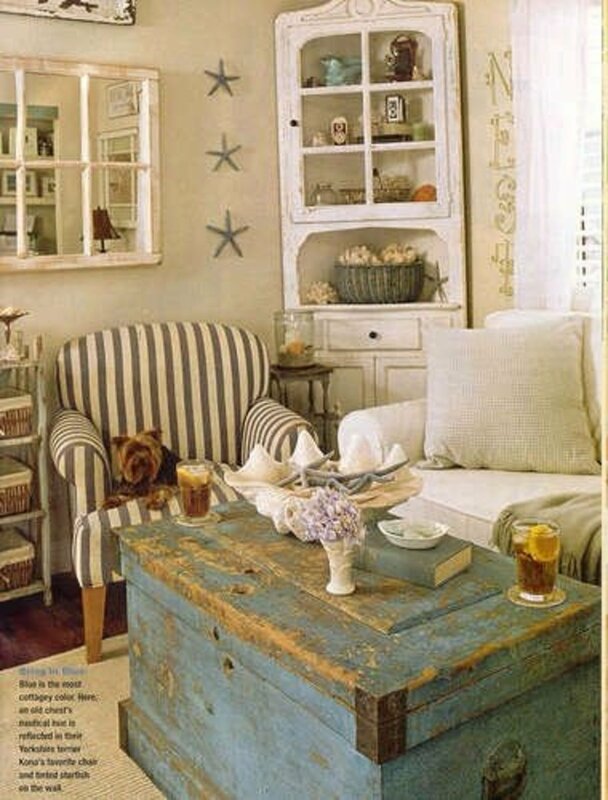 Use magazines like Coastal living and the internet to get great ideas. Pinterest is a great website for paint color and even furniture ideas. Houzz is another site that has many photos as well as letting you know where to purchase items. Both of these websites allow you to bookmark and categorize your favorite ideas. For a beach home you probably want to leave things light and airy. Keep clutter to minimum and use light, crisp colors for both your wall paint and your fabrics. 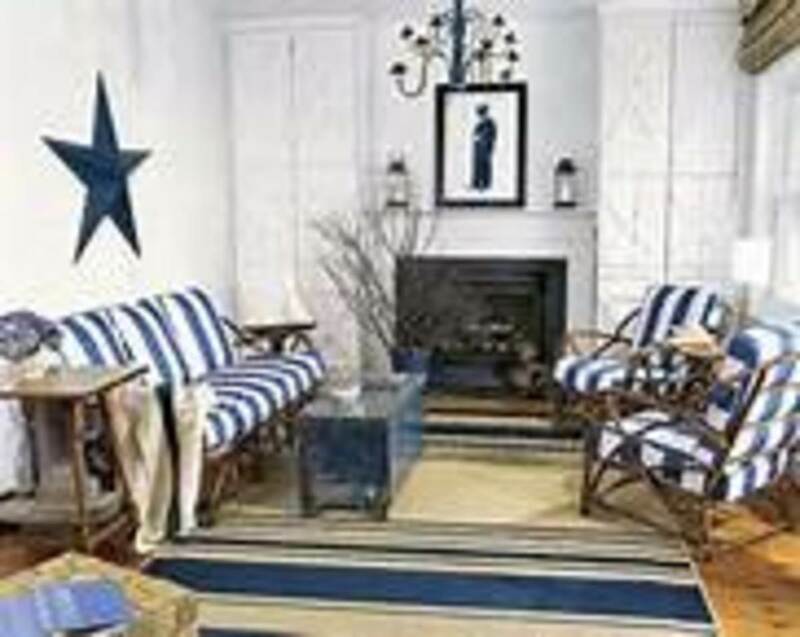 Wicker is often used in beach homes as well as lots of glass tables and coastal patterns with shells and nautical themes. Don't try to decorate your entire home at once. Let it unfold like a beautiful canvas. As you paint a room give yourself time to decide how you like it before you move on to other rooms. It often helps to just sit and spend time in a room observing things like how the sunlight hits the wall, what the traffic flow will be like or how many windows are in the room. You will soon gain confidence as you move forward. Sometimes taking that first step as in buying the can of paint can seem like a huge decision. Try to remind yourself there are no right or wrongs. Its all about what you like and what your family like. Even with that said you will never please everyone. As you decorate start with the necessities such as beds and sofas. Move on from there. Search thrifty websites like Overstock.Com, E Bay, or Wayfair.Com. 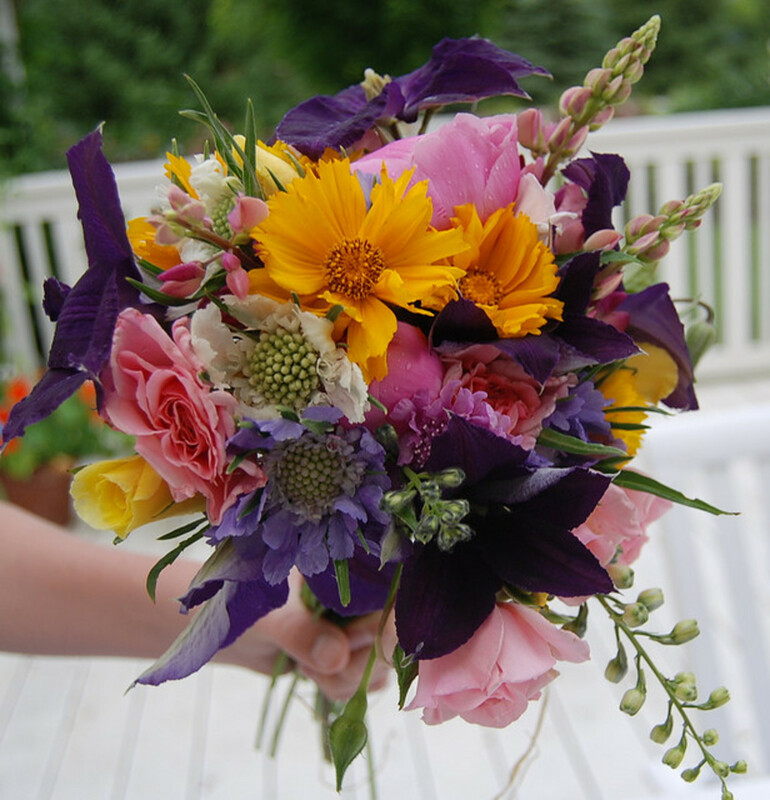 It often helps to search the expensive websites like Pottery Barn and Williams Sonoma to get ideas. Wait for your favorite piece of furniture to go on sale at the pricier stores or look for their warehouses at Outlook Malls. These are often located near large cities and tourist towns near beaches and mountain towns. You can often find ways to copy decor you love at a discount with DIY projects found on Pinterest and even YouTube. How to Use Pre-Defined Paint Pallettes. When using a per-defined paint pattern like the one below you can take colors into your accessories like curtains, paintings, bedspreads. One wall can be used to help the eye to keep from becoming too saturated. 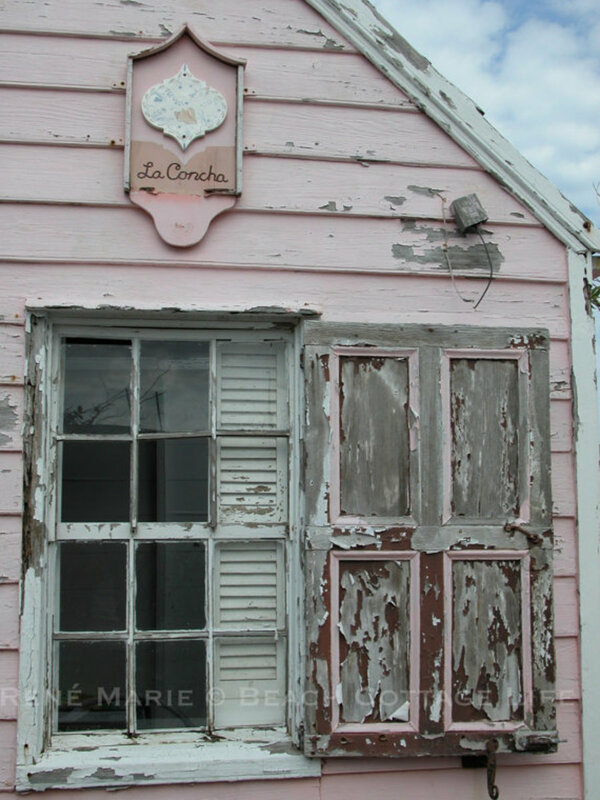 Often homes are painted in one main color with accents brought our with molding, painted doors and different textures. Are you in a hurry and don't have time to research and really think about the details of the house? 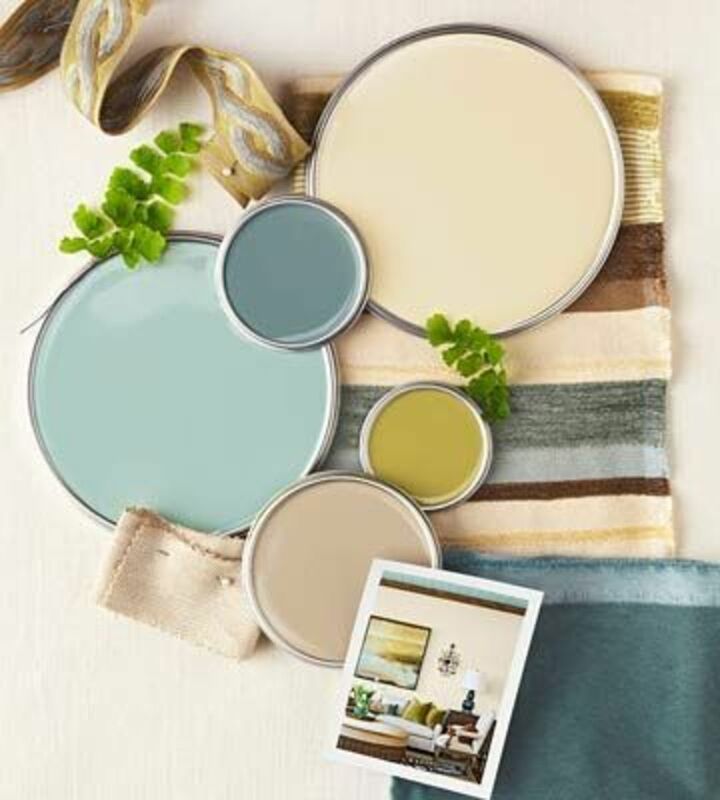 Consider going with neutral yet Beach colors like Sea Salt by Sherwin Williams. 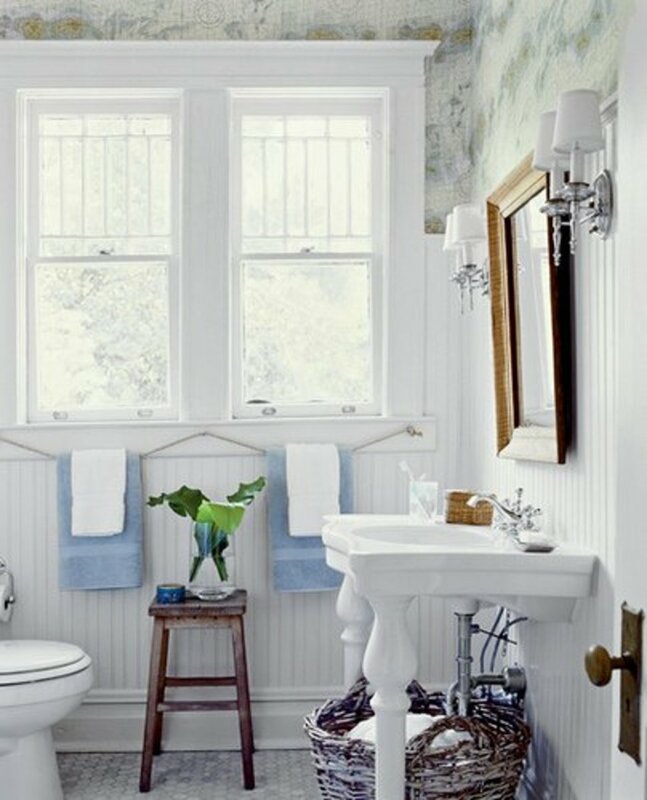 Revere Pewter is a neutral color also by Sherwin Williams that is said to go with anything. If you like yellow, a great beach house color Vanilla Sugar by Sherwin Williams is soft enough so that it is easy to add accents with other colors. Gracious Greige is a neutral gray/taupe shade. Into the Gloaming by Sherwin William is just a shade darker and would make a great accent wall or use it for an adjoining room. I like to take an entire color card and use varying shades of the same color to compliment my house. Grays are also very popular today.One of my personal favorites is Sherwin Williams Repose Gray. According to Tori Toth author of Feel at Home, Home Staging Secrets. Three great paint colors for the whole house are Benjamin Moore Color from their off white collection, Silver Fox a grey/beige from Benjamin Moore and my personal favorite, Eternity, a blue/gray. Put pastel flowery pillows all around to give people a place to curl up and relax in. When you are out and about look for neat containers or driftwood and make an air plant terrarium. Always be thinking about what you like. 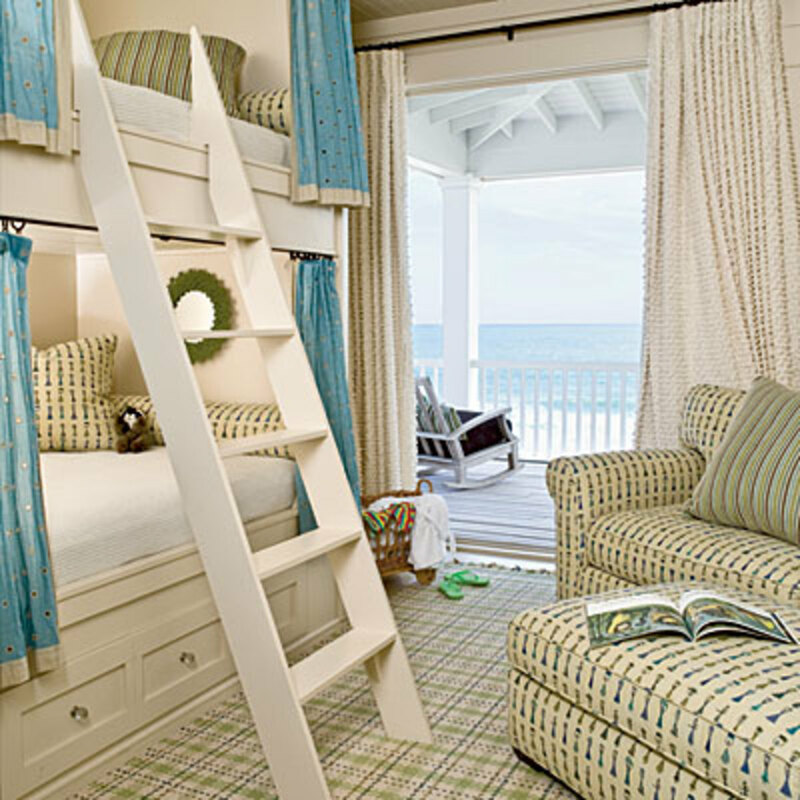 Comfort is so important in a beach home. Try to add soft pillows, comfortable sofa's and throw rugs to catch any sand that might be brought in. this is one of my favorite wooden signs for a beach home. love this color scheme! 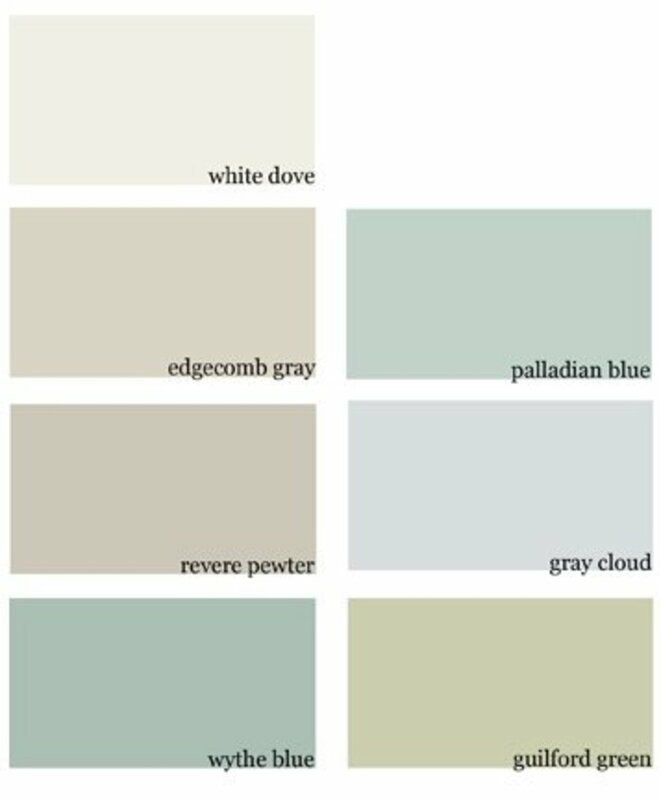 benjamin moore white dove, edgecomb gray, revere pewter, wythe blue, palladian blue, gray cloud, guilford green | See more about paint colors, palladian blue and benjamin moore white. 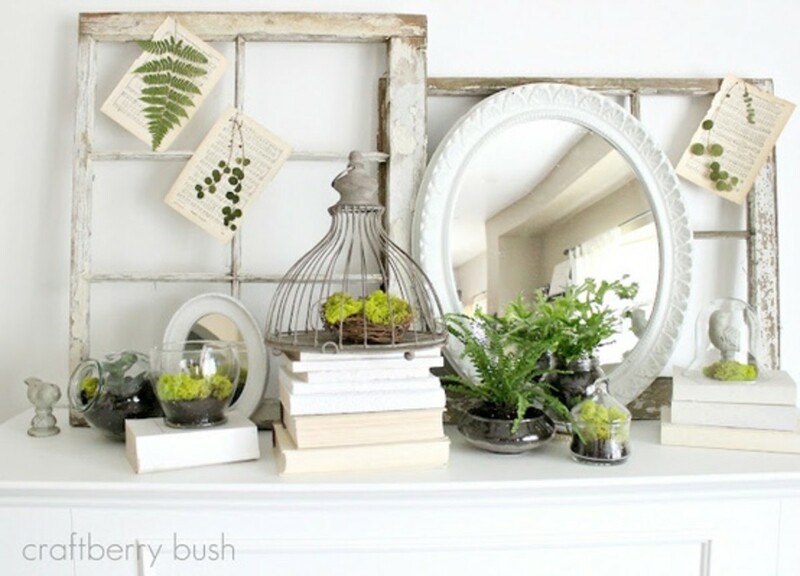 Decorating your home should be a creative venture and be a reflection of who you are and what you enjoy doing. What makes you relax? Look around at other homes to find what you like the most. Watch your home unfold into a beautiful tapestry. Try not to get to get to caught up on finishing the home all at once. Like everything in life our feelings change and what you liked first about your home may change. Be sure you know yourself. Invest in small ways at first. As I mentioned before, adding paint is a great way to start and if you change your mind it is not a major investment to change later. Go to the library or better Barnes and Noble, find a comfortable chair and grab a stack of decorating books, a cafe latte and find some inspiration. Walk through antique and consignment stores to find treasures for your home. 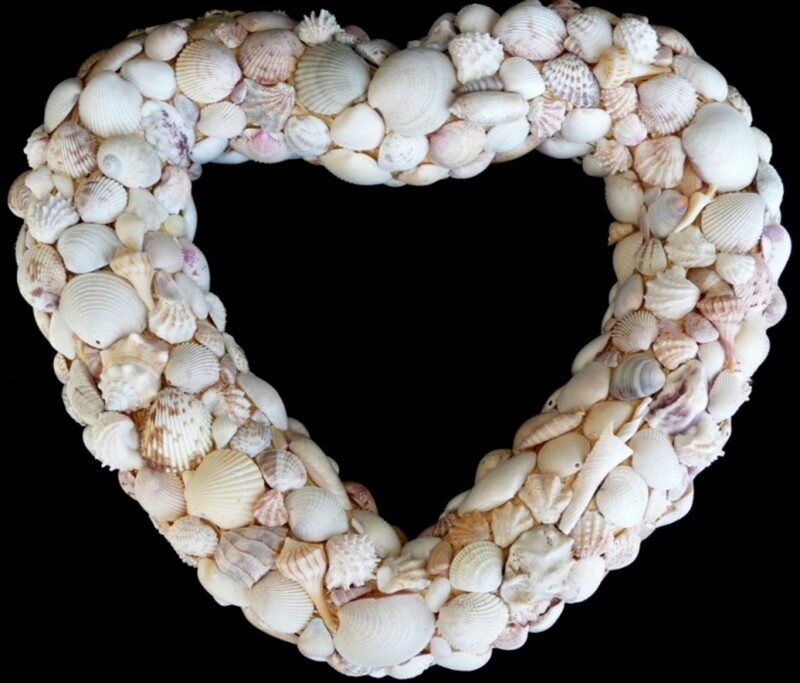 Walk along the beach for inspiration like pieces of driftwood or shells you can display or make into a picture frame. Wander through local flea markets and antique stores. Do you have some pastel candles? 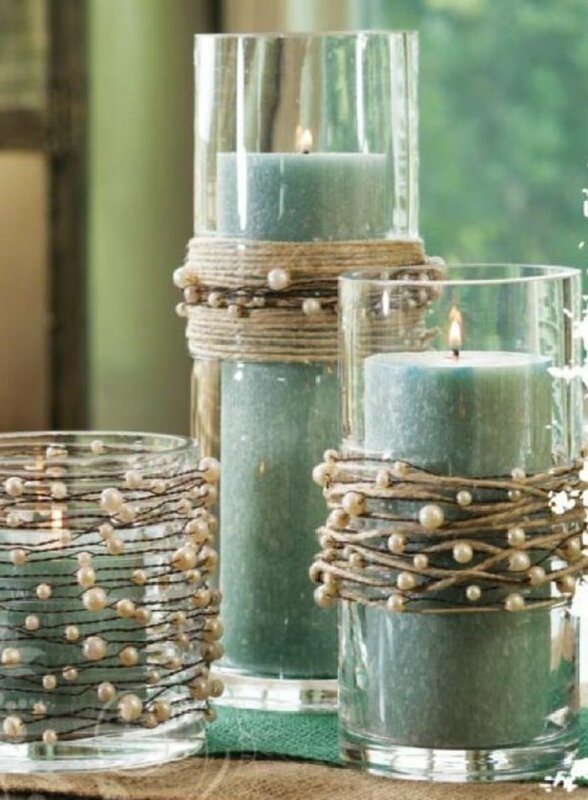 String inexpensive pearls on twine and tie around each candle. Hang lanterns on the wall or set around an outside deck. 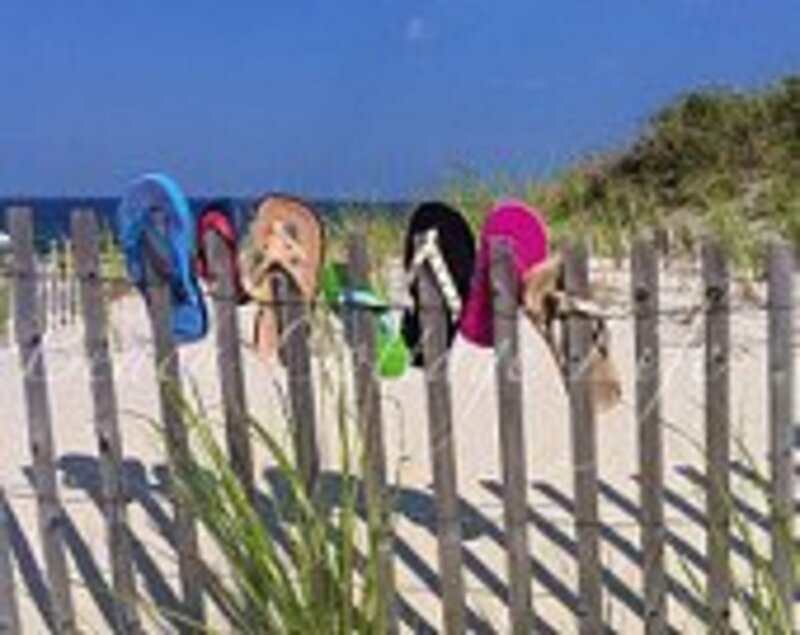 Do you have a favorite beach picture of your children or grandchildren? Consider blowing it up and purchase it in canvas to hang in a bathroom or kitchen. 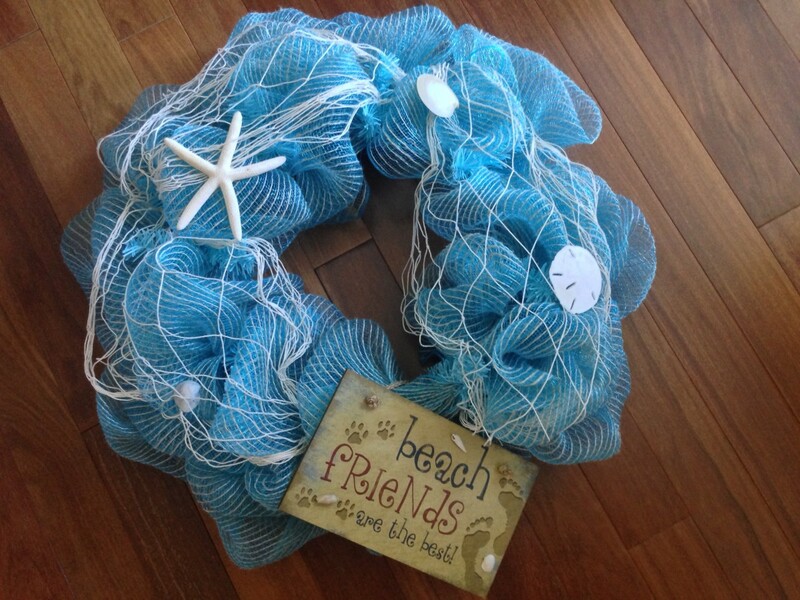 I have found beautiful pewter beach pieces in Home goods as well as great boat paintings. My husband and I have a lake home and are working on a puzzle of the 1942 NewYorker Cover of a sail boat. I will glue it and frame when we are finished. Wooden signs are great in Beach homes. Look for catchy phrases that have meaning to you and your family. 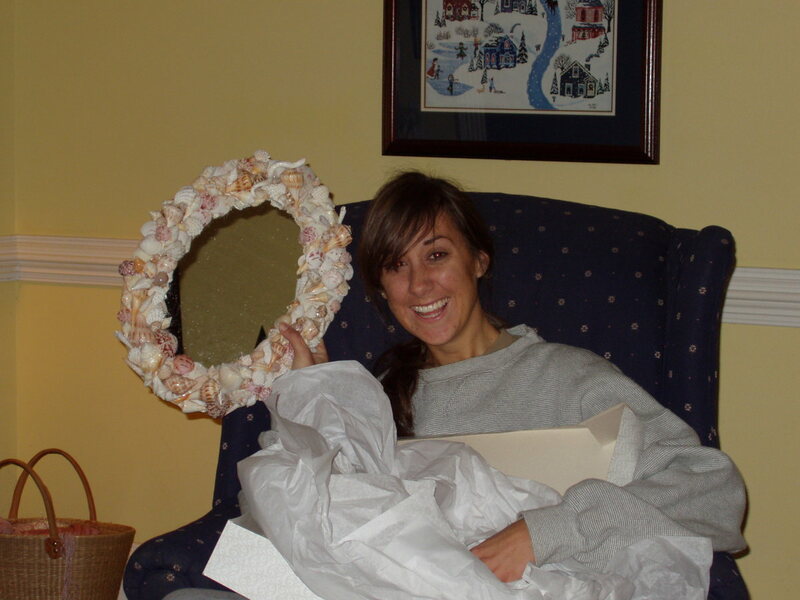 Check EBay and Etsy for great artsy designs and wreaths. Sometimes going neutral is your best bet when decorating. I really like the light airy colors listed below. They would work in your city home or your beach home. They will lend themselves to almost any décor. If you decide to go more formal you can use the more neutral taupe and yellows or go light and add your most beach furniture including wicker. The new trend is refinishing older furniture with paint like Chalk paint or using two colors and then distressing your piece. Hardware can be ordered or found at local hardware stores or even craft stores like Hobby Lobby. If you have some old wicker. Spray paint it the colors you like and create an entire new look. A beach home is often open and airy. You can use soft sheer curtains for accents on windows. Leave some windows facing the ocean with no window dressing at all and let the scenery be your canvas. Shutters are great in bedrooms so you can open them and let in plenty of light or just go with natural materials like bamboo for natural slider shades of go more modern with honeycomb shades. You may want to use window fans in rooms with added lighting fixtures. 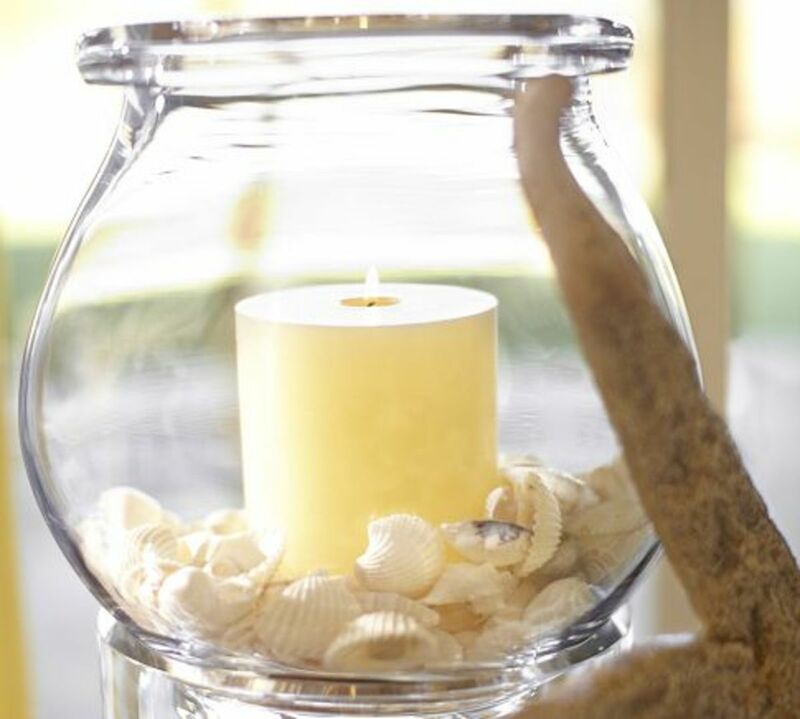 Add bedside lamps for you and your guests with wall lamps or inexpensive glass lamps filled with shells. 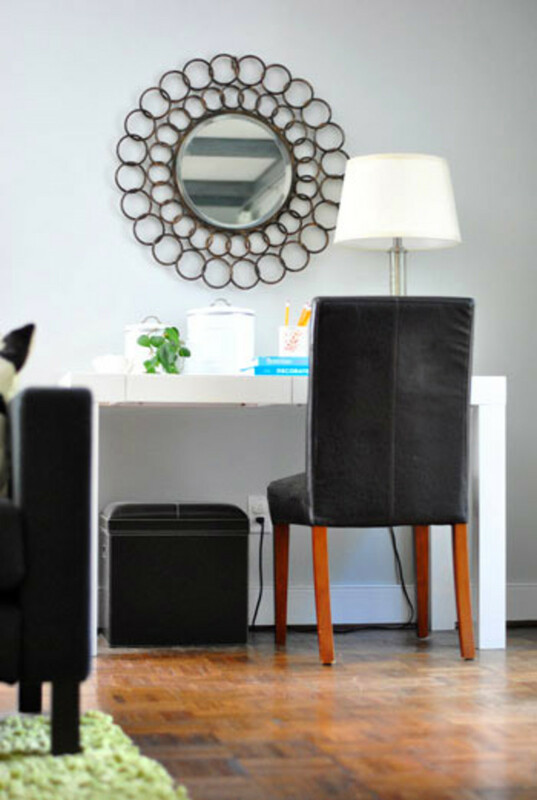 A quick bedside table is a round would table with a pretty beachy fabric cover you can make and hem yourself. Cut out a square for the top to hang down and add to your creation. 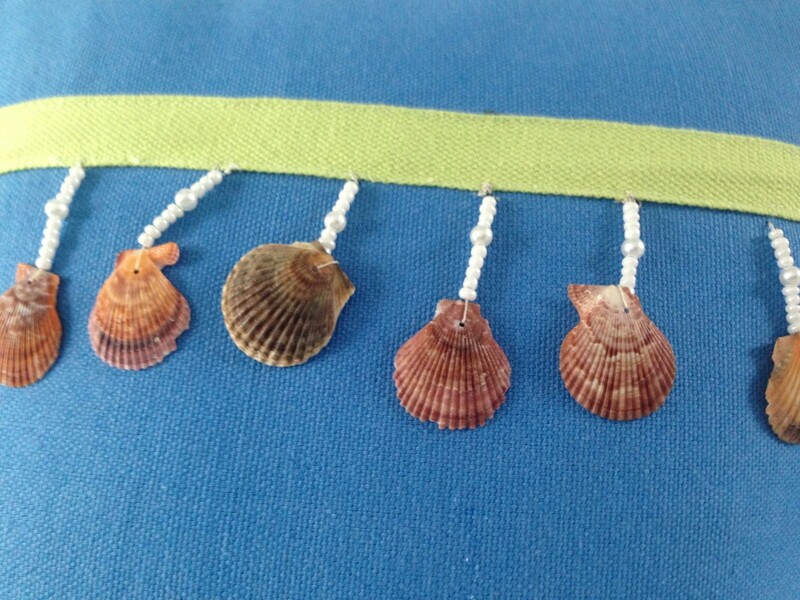 Collect all kinds of interesting shells. Next go to your closest craft store and find some large letters spelling fun things like , This way to the Beach or just, Beach. Glue the shells onto the letters. Once dry spray with a varnish or just leave natural. Hang on a wall of mount on a piece of wood you have painted and set on a counter or shelf. 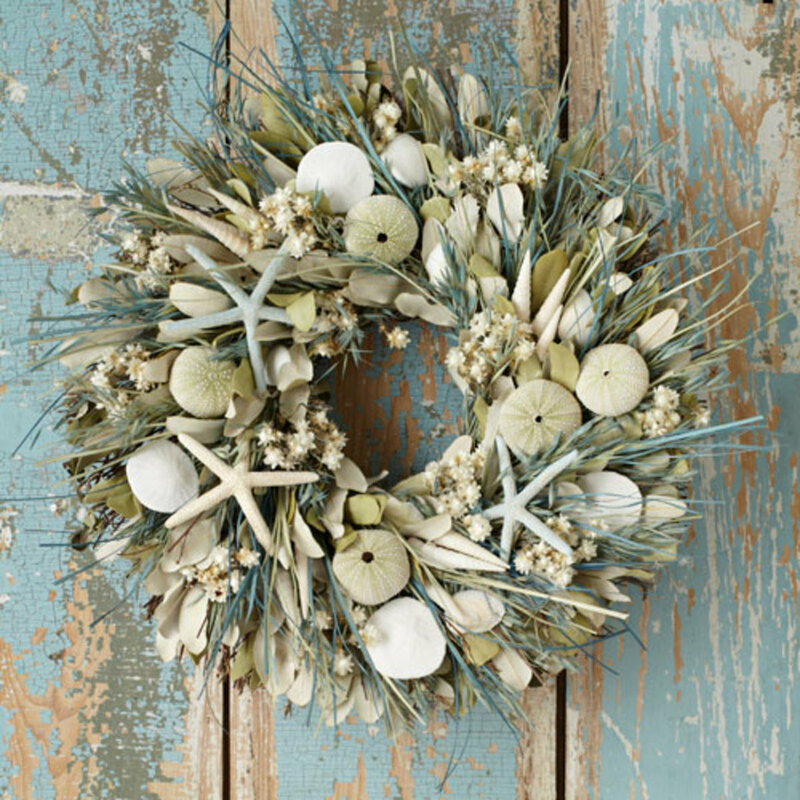 I have even seen beautiful wreaths made by attaching shells to wreath forms and hanging the wreath with a pretty pastel ribbon. 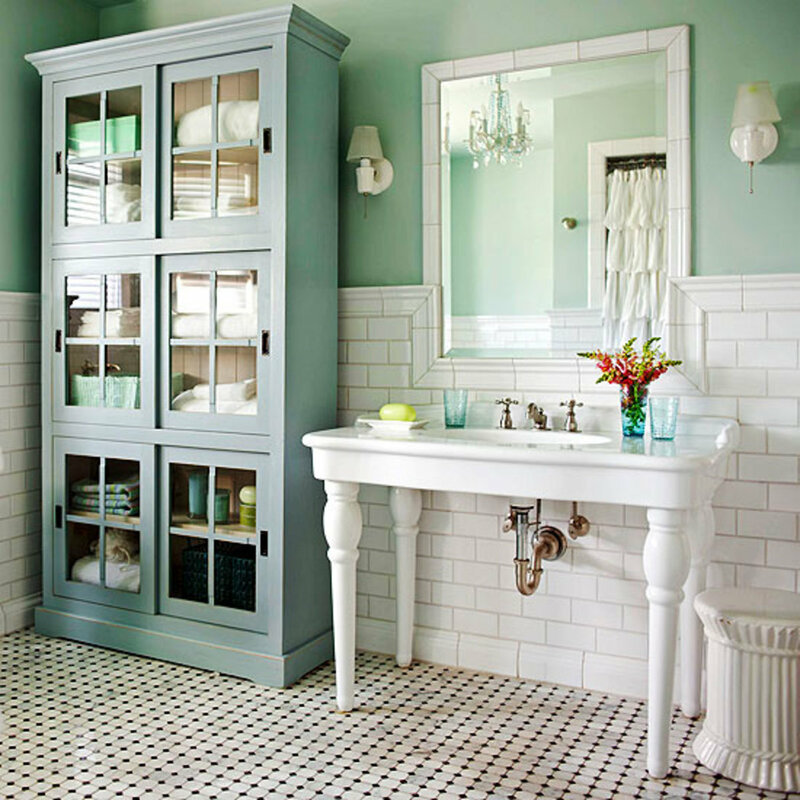 When it comes to a beach house bathroom I think of painted cabinets, baskets of towels, painted metal accessories for personal items. You might find a metal container at a flea market and paint it a pretty pale green. The colors of Charleston's Rainbow Row are similar colors to the ones I would like in my own beach house. 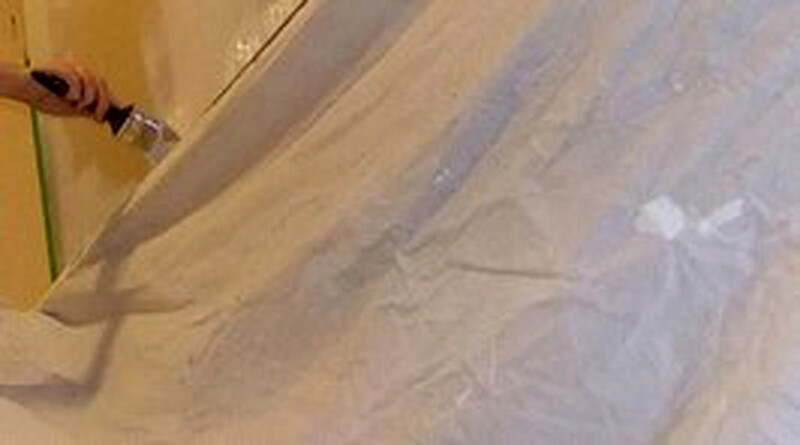 You might want to sew a light and airy shower curtain from a simple cotton fabric and hang a plastic liner inside. Use outdoor lighting for your indoor lighting. Spray paint dark colors silver. My husband and I saved hundreds of dollars by checking out outdoor lights at our local hardware store for indoor bathroom and hall lights. You get the idea. Find a glass cabinet and paint it to match some of your bathroom accessories and fill it with supplies and fun things like bubble bath and shells. Your ideas are limitless. 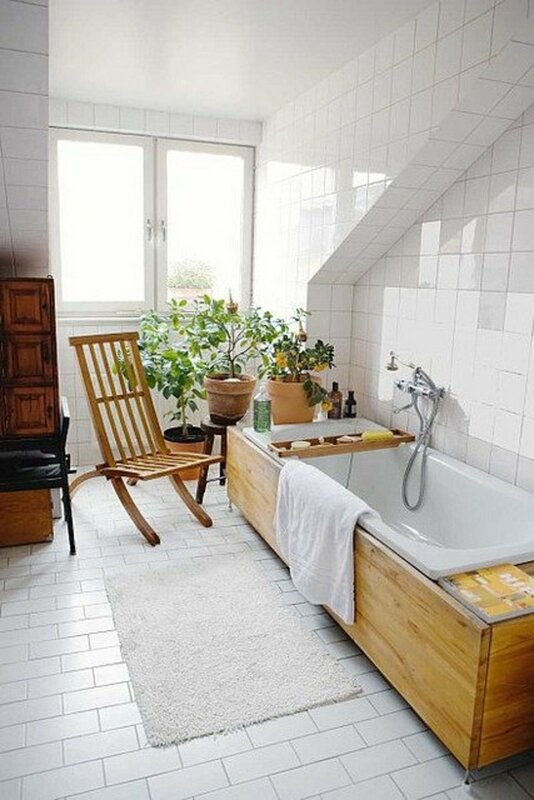 Put a little footstool by the tub for reading material. Use fun colorful throw mats instead of a traditional matchy matchy look. Always keep your eyes open for ideas. My husband and I were out kayaking and found a huge abandoned bee hive for our lake home mantel. If you are on a budget go to a used book store and find a book full of beach and/or nautical picots. Cut them our and either frame or copy and blow up the dimensions and frame.Now you have some great Pictures for your walls. I have mentioned previously some of the easiest places to go for inspiration.. I love sail boats on my walls at our lake home. 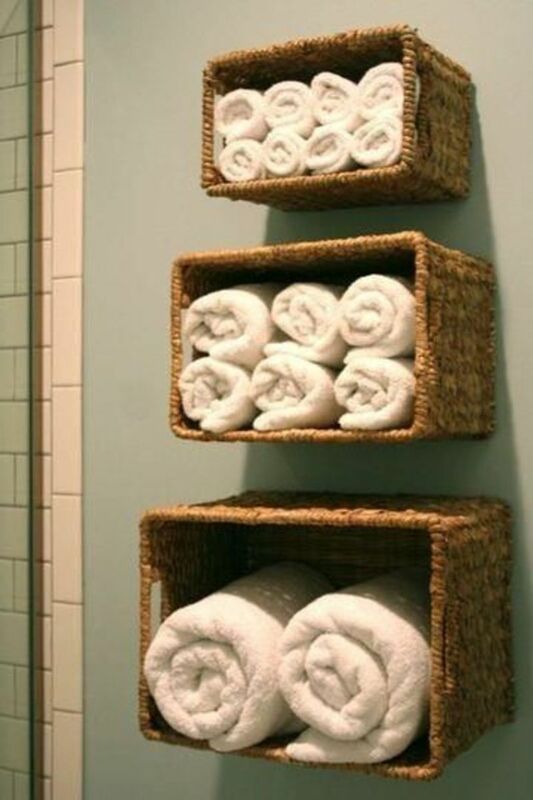 Baskets are great when decorating. 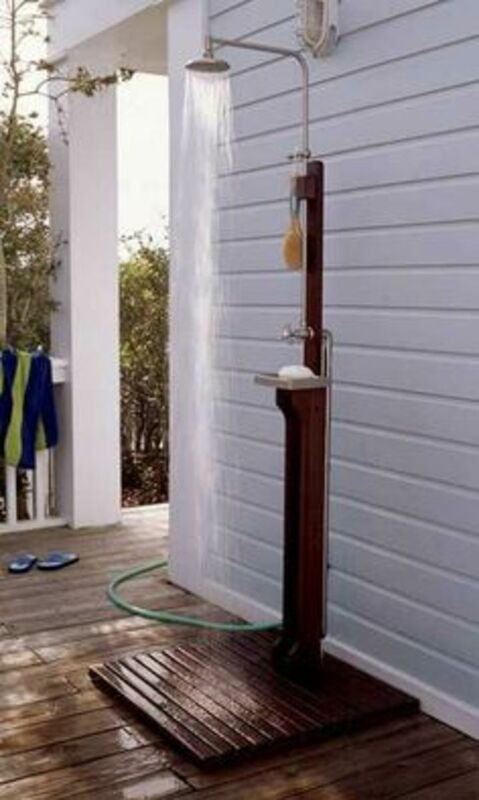 Use them in the kitchen for fruit, the bathroom for towels or personal supplies and in bedrooms for reading material. Make a fun chalkboard with a simple black frame and chalkboard contact paper ( see photo and amazon add). Use it to welcome your guests of just make a list for tonight's dinner. Remember as you decorate to have fun. That may be the most important thing to remember. Having a vacation home brings many joys with it. Be sure to stop and enjoy. Don't be so caught up in your decor that your guest don't feel comfortable when they visit. Now sit back and make some memories. Reflect Your Personality in Your Decorating. Decorating should reflect the person you are. People can come in and see a decorator's beautiful skills but how much more special to see what you like and the things you like to surround yourself with to make you relaxed and at home. If you do go the decorator route be sure to throw in your opinion and don't be afraid to speak up. It is your home and should be a reflection of you and your family. Thanks so much . I am the same way . I love the ocean. I know you must be ready for spring. Thanks for your Kind words. Thanks Glad you enjoyed. I too would love a house by the beach. Gorgeous photos and great, inspiring ideas. It makes me want to get in the car and drive to a warm beach! Enjoyed your hub great ideas. 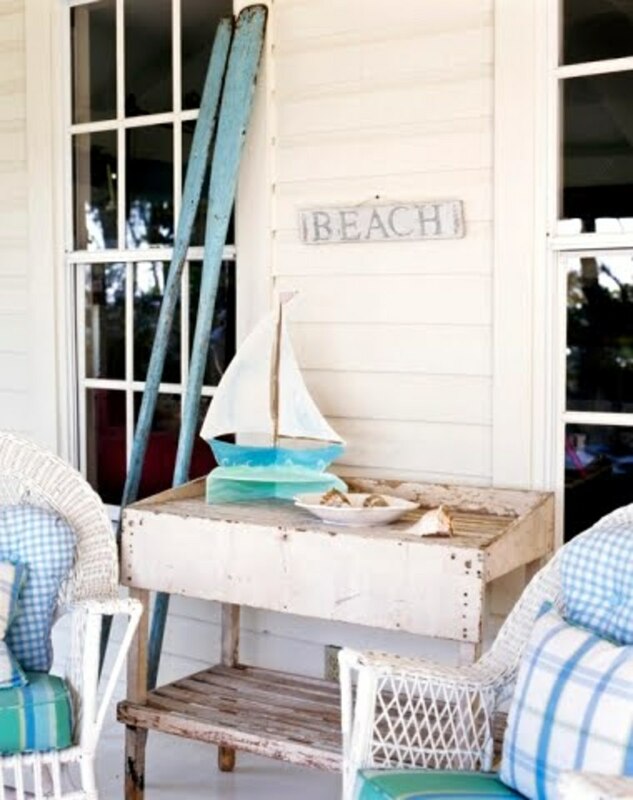 I love the cottage look wish I was in a cottage today on the beach instead of looking outside at a blizzard. Voted up.